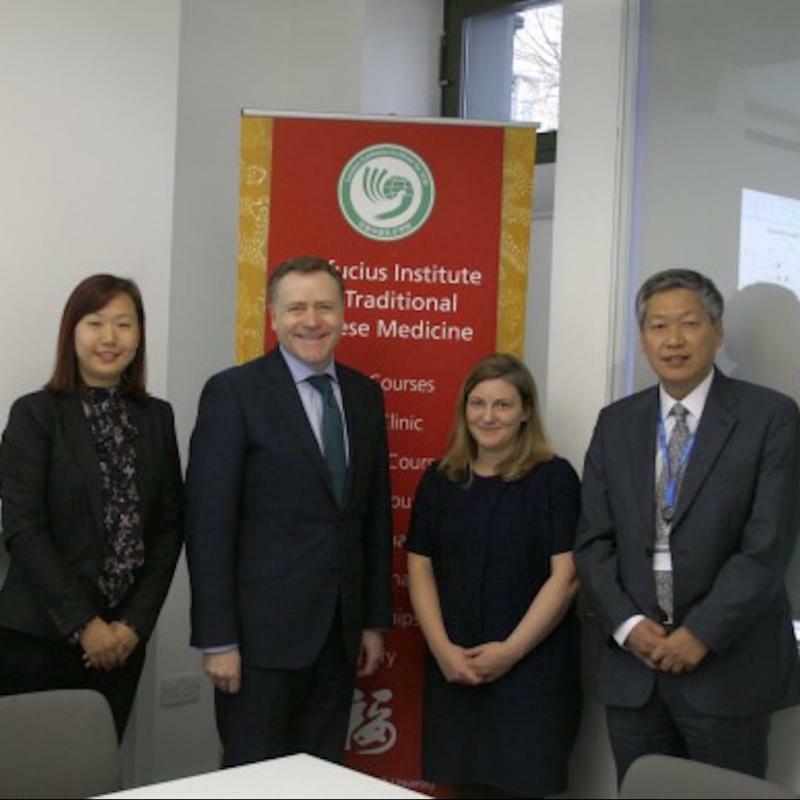 London South Bank University’s Confucius Institute for Traditional Chinese Medicine (CITCM) successfully held a cultural celebration at the ‘Dragon Cafe’ of St George’s Church on 9th January, 2015. 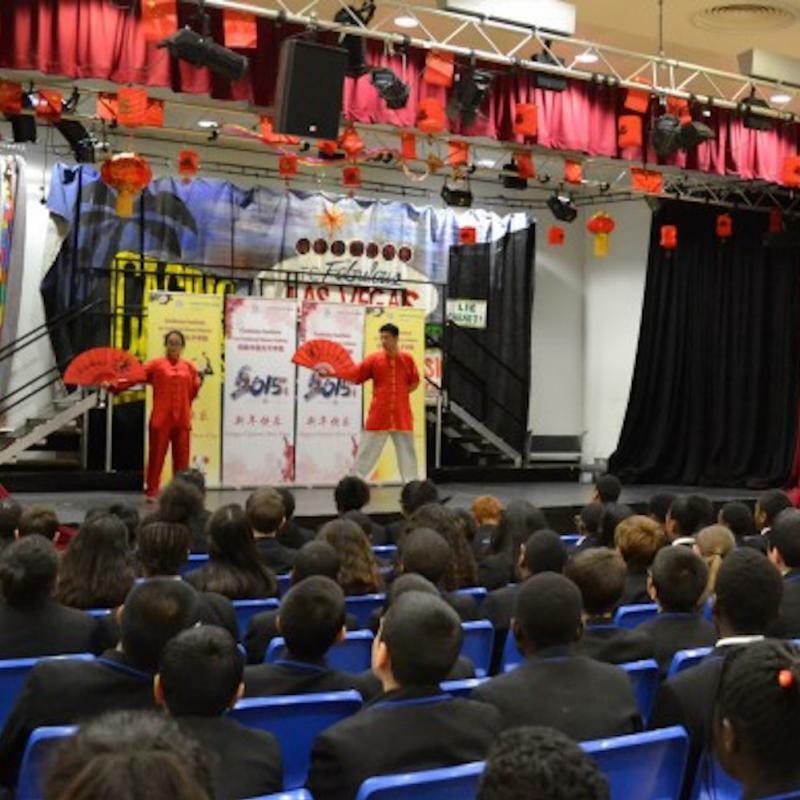 The event featuring ‘Waving the Chinese Dragon, Sharing Chinese Culture’ attracted approximately a hundred people from all walks of life. The event started with an animated Xinjiang dance by two volunteers from the CITCM. This performance won waves of applause. 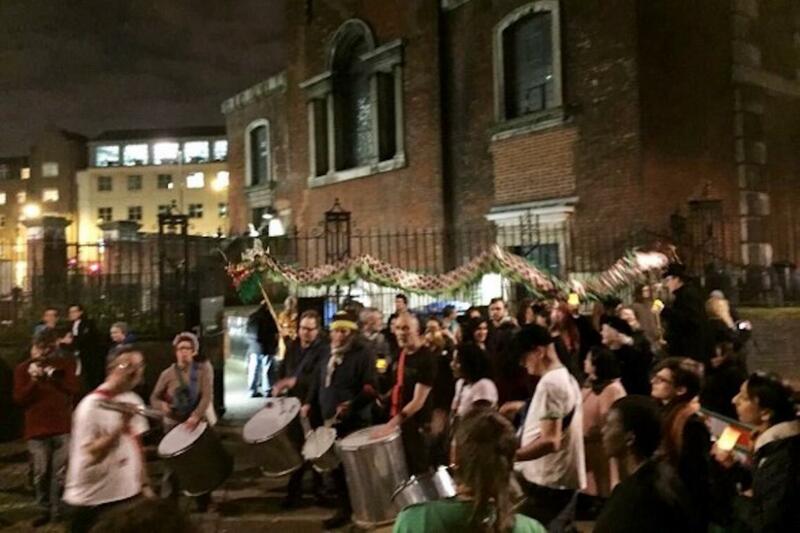 Amongst the cheers, a few Chinese teachers came running and waving a powerful and spiritualised Chinese dragon. Their adept movement drew constant cheers from the audience. A chubby and lovely British dragon then joined in. 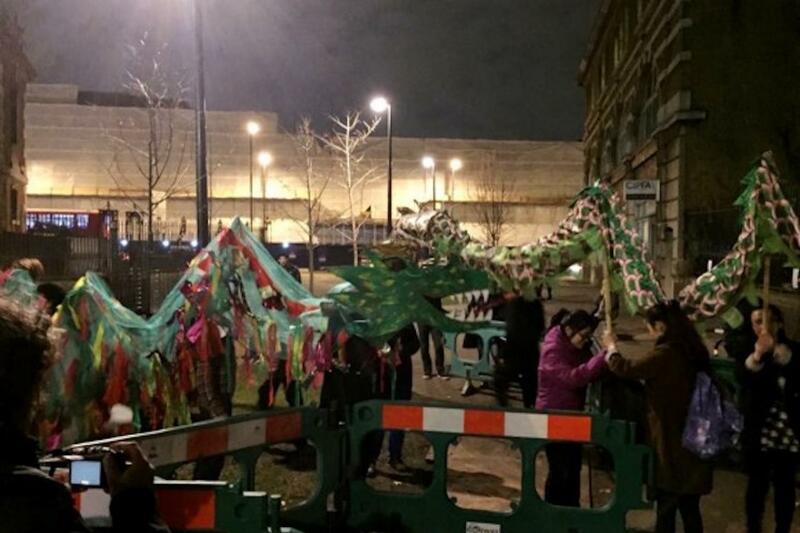 The two dragons chased each other and danced together, symbolising the friendship and cultural exchange between China and Britain. Afterwards, the audience shared their own understanding of the Chinese dragon and their passion for Chinese culture. The two-hour event won unanimous praise from the audience, and also aroused their interest in the Chinese dragon and traditional Chinese culture.